It has been a while since we’ve done a food review and this one has come not a moment too soon. 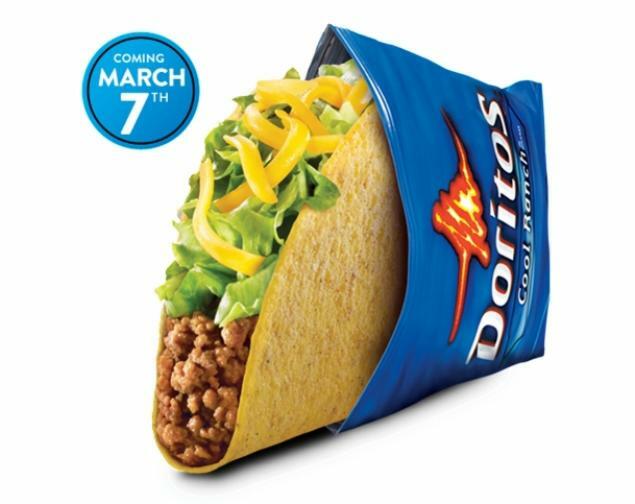 Last year,Taco Bell released their Nacho Cheese Doritos Locos Tacos and this year is the Cool Ranch flavor’s turn. I will admit to not being the biggest Cool Ranch Doritos fan, but I decided to give this a try anyhow. For you,the audience! Ultimately I found these to hold their own in terms of flavor and expectations. I don’t know if they will be as popular as the Nacho Cheese flavor, but they pass my test. I don’t,however, see why everyone was so upset over a day’s delay for them. It’s just food,folks!